LIVE YOUR ADVENTURE WITH A SNOW DAY AT BEAVER VALLEY’S WINTER PLAYGROUND! Whether it's a corporate fun day away from the office, a school trip, or your special occasion, we want you to Live Your Adventure at Beaver Valley Ski Club! TAKE A DAY OFF FROM THE GRIND! With over 50 years experience we will ensure a seamless event from start to finish… guaranteed to give you a local flavour, with unforgettable impressions just waiting to be explored! Beaver Valley provides a superb natural environment to host a wide spectrum of team building opportunities. Focusing on your agreed aims, team building events can be a very cost effective way to instill loyalty or bond a new group of people. In addition to having a great day on the slopes we will ensure that all of your participants learn valuable lessons while having fun. FIND OUT HOW EASY IT IS TO ARRANGE A GREAT DAY ON THE SLOPES! 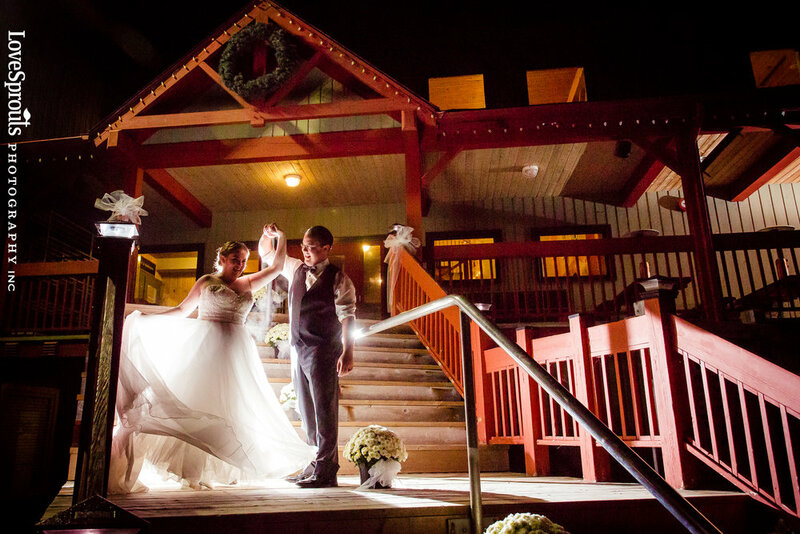 Share your wedding day with family and friends in the natural surroundings of Beaver Valley. Experience a unique and friendly private club for your dream wedding. Beaver Valley Ski Club can accommodate groups of 50-200. We offer three different venues depending on your preference and size of gathering for your special day. Leave the details to our experienced event planning team led by Stephanie Don Griot, our onsite Wedding Coordinator and Keith Hagedorn, our Executive Chef will charm you with his culinary talents which you can customize to your own tastes. Learning and having fun at Beaver Valley Ski Club is our commitment to you. Our 50+ years of hosting in the valley provides you and your students with a warm welcoming place to be members for the day! The private club advantage offers you the best terrain and snow to enjoy in an unhurried fashion on the trails, in the terrain parks and on our boarder cross track. Come under our spell as you capture the charm and camaraderie of spending social time in the comfort of the clubhouse while you learn new techniques on the snow. The ingredients for a great day with your group are here!